Danger Inbound: Apocalypse addon is the end of the world, horror and fear where all living beings have turned into terrible and dangerous monsters. Each your journey will be a dangerous adventure because even the weakest mobs have become much stronger and more aggressive. 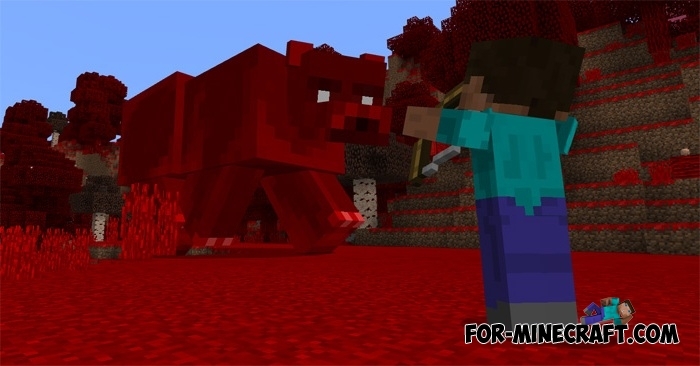 Addon alters almost all the most common creatures in the world of MCPE. So that you do not die immediately after leaving the door, your health has been increased several times and also the weapon has increased power. But this does not guarantee that you will remain alive, because there are so many opponents ready to kill you without delay. Do not rush to look for villages, all villagers are not the same as before. In addition, golems are now not as harmless and their attack can cost you your life. You will be very frightened if you meet a bear that has grown several times and is able to break you. The world has completely changed, especially after dark. 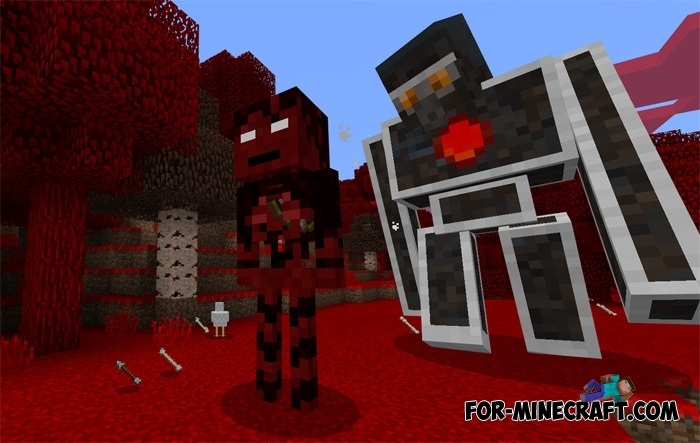 The grass, blocks, trees and the sun are now blood red. Stock up with torches, they will be useful to you almost everywhere and build a shelter to rest from daily fights. 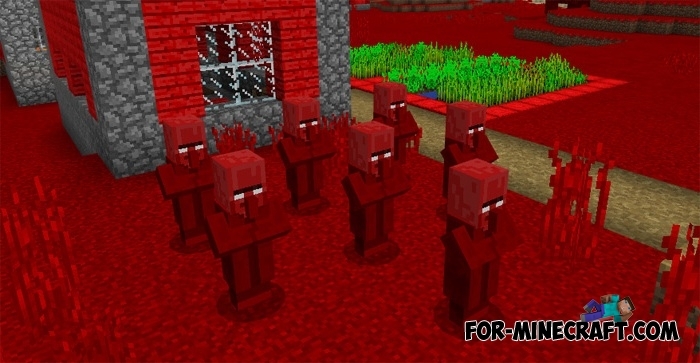 Some mobs are able to teleport and attack in non-standard ways. Beware of the endermen and try not to fight several bosses at the same time. This addon is based on the original Danger Inbound addon for Minecraft PE, but there is always a sense of fear and horror.